A cross between a Cantal Fermier (Le Salers) and an aged Cheddar, this semi-hard cheese shows its true form after 12 months in the cave. 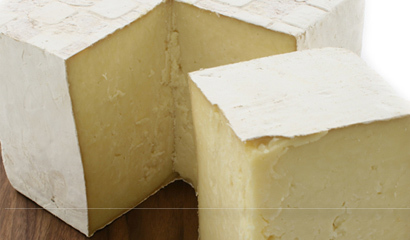 We’ve seen lots of great descriptions of Tumbleweed, from “elegant deep gold cheese, extremely well balanced, finishing with a touch of sweetness” (Florence Fabricant, NY Times) to “if farmhouse Cheddar and French Cantal took a roll in the weeds, you’d get this little square” (Murray’s Cheese Shop, NYC). If you have a great way to describe Tumbleweed, please share it with us.